The Authors need to submit a single file containing all the details as described below. The supplementary data files should be submitted as a separate file. A cover letter and graphical abstract should be submitted along with manuscript as details provided below. Authors need to submit a graphical abstract highlighting the contents of manuscript. The guidelines for graphical abstract preparation and submission are available on this link. 3. R. Hussain, D. Shinkoi. Title of book like Synthesis and application of ionic liquid, John Wiley & Sons: New York, 2010. 4. R.S. Buchanod, D.K. Reddy. In Selective Organic Transformations; T.R. Thyagarajan, Ed. ; Integrated science: New York, 2002; Vol. 2, pp 1–95. Authors are advised to contact Support, CBL (email: pubs @ thesciencein.org ) if there is any problem in registration or submission. 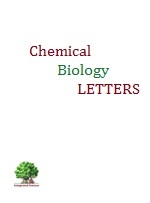 Authors should mention any conflict of interest in the work submissted to Chemical Biology Letters. The statement about conflict of interest may be mentioned in the ‘Letter to editor’ or placed in the manuscript after acknowledgement section. If the manuscript report the experimentation on animals (including clinical trials on human beings), then declaration about ethical way handling of animals and about keeping the complete privacy of human identity (in case of clinical trials) must be mentioned in the manuscript. Helsinki Declaration (contents from NIH-NLM): When reporting experiments on human subjects, authors should indicate whether the procedures followed were in accordance with the ethical standards of the responsible committee on human experimentation (institutional and national) and with the Helsinki Declaration of 1975, as revised in 2000 (5). If doubt exists whether the research was conducted in accordance with the Helsinki Declaration, the authors must explain the rationale for their approach, and demonstrate that the institutional review body explicitly approved the doubtful aspects of the study. When reporting experiments on animals, authors should be asked to indicate whether the institutional and national guide for the care and use of laboratory animals was followed.